Top 5 Best Fabric Softeners to Buy in 2019. Husbands: let us save you! Softness of the fabric: Rinsing your clothes with a fabric softener will give them the level of softness that your skin will benefit from. Fragrance: Some scents of fabric softener and conditioner can uplift the mood and emotions. The scent coming from what we wear can help us relax and happy. This is one of the reasons why many people use fabric softeners with their clothes. Reduce friction between fibers: Because of the softness that fabric softeners bring, the fibers tend to rub less against each other, giving the fabric of your clothes a softer feel and maintains their brand new look for a long time. Odor and bacteria control: Especially for bath towels, which are used daily and are oftentimes left to dry in humid conditions, fabric softeners not only give them fresh aroma but also prevent the growth of bacteria. Anti-wrinkle and anti-static: Fabric softeners prevent the fabric of your clothes from sticking together, reducing static. They also prevent wrinkles and keep certain fabrics from creasing easily. Makes color lasts: It doesn’t just give your clothes long-lasting fragrance. Fabric softeners also maintain your clothes’ color, making them look new and bright. Fast drying: Because fabric softeners reduce the amount of water in your laundry after spinning, it will be easier for your clothes to dry even under a shade. 2. Ultra Downy April Fresh Liquid Fabric Softener and Conditioner 103 Fl oz. Choosing the right fabric softener and conditioner for your clothes can be a bit tricky. There are many things that you must consider when looking for the right brand for your garments, bed sheets, curtains, and towels. Most fabric softeners and conditioners are in liquid form. However, many people today are also using dryer sheets to keep their clothes and other garments fresh. If you look closely between these two different types of fabric softener, you will know when and how to use each one with your laundry. Liquid fabric softener and conditioner – This type of fabric softener works in the washing machine. This is used by putting some liquid to the fabric softener compartment during the final rinse cycle. But, you must be careful not to spill directly on clothes since some fabric softener can stain light-colored clothing when not handled properly. Dryer sheet fabric softener and conditioner – This kind of fabric softener works in the dryer. By simply adding the sheet in the dryer with a single load of laundry, your clothes will get that long-lasting freshness as they dry up. Remember to always remove dryer sheets so they don’t clog the lint trap and catch fire. You can usually use this kind of fabric softener on clothes and garments that aren’t normally placed in a dryer. Undergarments and other delicate loads are infused with this softener and line-dried. Towels and microfibers aren’t recommended to be rinsed with liquid fabric softener since the fibers will soften too much, making them less absorbent. In choosing a fabric softener, it all comes down to personal needs and preferences. Do you want something scented or unscented? Do you plan to use it in the wash or dryer? Which brand have you tried before and trust? Which fabric softener you find most convenient to use? Are you particular about the ingredients used in a fabric softener? But did you know that fabric softeners and conditioners aren’t just for clothes? There are other practical uses for them as well. The following are some household chores that can be done easily by using fabric softeners and conditioners. Check this out! Eliminating static clings on carpets – By diluting 1 cup of fabric softener with 2.5 liters of water, you can create a carpet spray that you can use to clean your carpet. Spray just enough on the carpet and leave it overnight to get the best results. Cleaning glass panes – Remove dust from window panels, shower doors, glass tables, and other hard surfaces with a mixture of fabric softener and water. You can expect a shiny and fresh finish! Remove hairspray residue from surfaces – Use a fabric softener to remove hairspray on walls, counter-tops, vanity and other areas where residues were left behind. The same product can be used to polish the surface with a dry cloth. Remove grime fast – Instead of scrubbing your pans and casseroles, simply soak them with water mixed with fabric conditioner to wipe residue easily. Wash with soap to totally remove stains and food odor. Clean paint brushes – Soak your paintbrushes on a can full of the water mixed with fabric softener to remove paint residue. After soaking, rinse them with water and store the brushes to dry as usual. Remove water stains – Use an undiluted liquid fabric softener to remove water stains. Soak the stains with the pure content for 10 minutes and simply wipe away the stain with a damp cloth. Remove old wallpaper – One amazing use of fabric softeners is to remove old wallpaper. By simply spraying a mixture of fabric softener and water on the wallpaper and allowing it to soak, brushing off wallpaper will be easier and faster. Making a fabric softener and conditioner as one of your household essentials is very cost effective as this helps you save hundreds of bucks from buying totally different cleaning agents. It not only keeps your clothes soft and fresh-smelling, it will also help you keep your house clean. Ultra Downy Infusions Lavender Serenity Liquid Fabric Softener and Conditioner contains a highly concentrated mixture of floral and fruity scents that not only give your clothes that sweet freshness. It contains renewing scent pearls that can reactivate your clothes’ scent with one touch. It can reduce wrinkles on clothes as well as protect them from stretching, fading, and creasing. Enjoy the calmness that the Ultra Downy Infusions Lavender Serenity Liquid Fabric Softener and Conditioner inspires! It contains scent-renewing pearl essences that reactivate the mixture of floral and fruity scents on your clothes by simply rubbing on them. It also has an anti-wrinkle technology that keeps your clothes from creasing, fading and stretching. It also removes lint, static clings, and pet hair from the fabric. 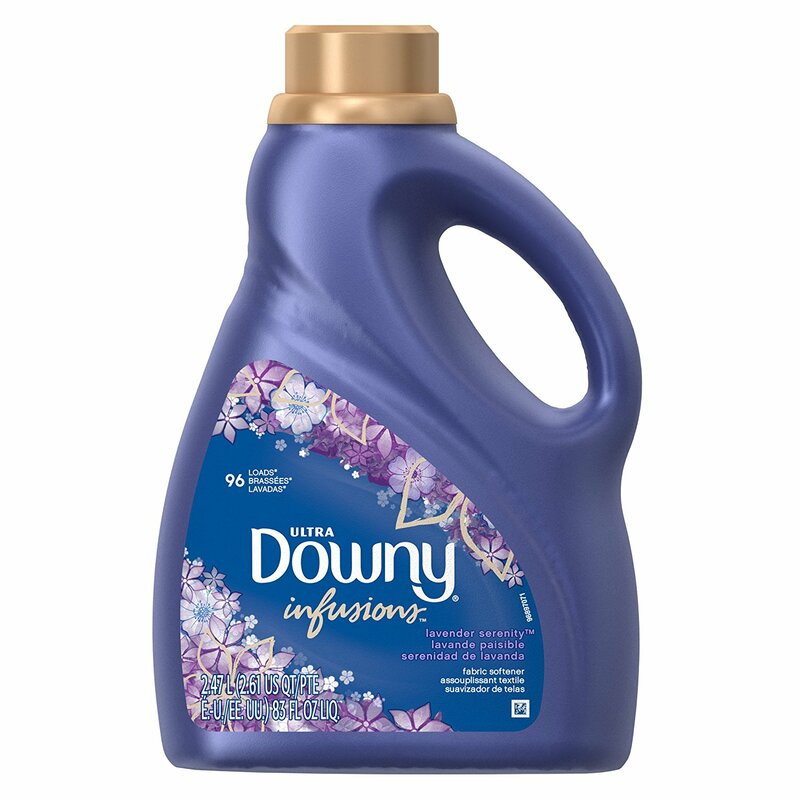 Ultra Downy Infusions Honey Flower Liquid Fabric Softener and Conditioner contains a highly concentrated mixture of fragrance that balances the sweetness of a honey and a floral bouquet. It contains renewing scent pearls that can reactivate its scent with one touch. It can reduce wrinkles on clothes as well as protects your clothes from stretching, fading, and getting fuzzy. Revitalize your clothes with the amazing effects of Ultra Downy Infusions Honey Flower Liquid Fabric Softener and Conditioner! It comes with the anti-wrinkle technology that protects your clothes from fading, stretching, and frizzing. Enjoy the freshness of your clothes for the whole day with its scent renewing pearl essences that can reactivate the freshness by simply rubbing your clothes! 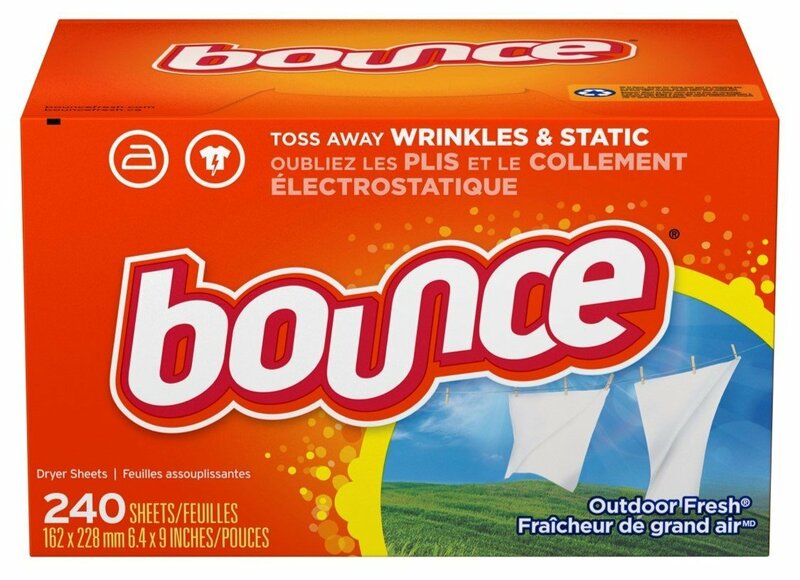 Bounce Outdoor Dryer Sheets and Fabric Softener is best for your clothes on every occasion. Just toss one sheet of Bounce Outdoor Dryer Sheet to a regular load of laundry in your dryer to experience its effectiveness in freshening up your clothes, as well as removing lint, hair, and static clings. Give your clothes one fresh toss in the dryer with Bounce Outdoor Fresh Dryer Sheet and Fabric Softener! Get rid of clings, lint, and hair. Experience a long-lasting freshness day in and day out. Give your clothes the wrinkle-free freshness with Bounce Outdoor Fresh Dryer Sheet and Fabric Softener! Ultra Downy April Fresh Liquid Fabric Softener and Conditioner is safe for machine wash. Its ingredients include biodegradable fabric softening agents that are safe for you and your family’s clothes. 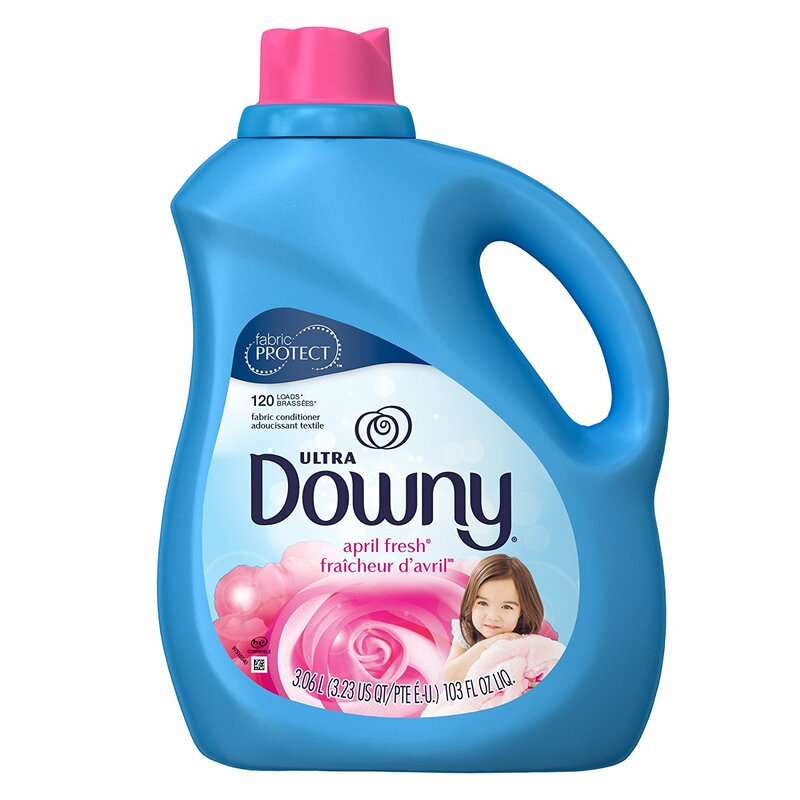 It has a more concentrated content compared to the old Downy April Fresh, giving you 3x more long-lasting freshness. Ultra Downy April Fresh Fabric Conditioner is what your clothes need to become softer and fresher! 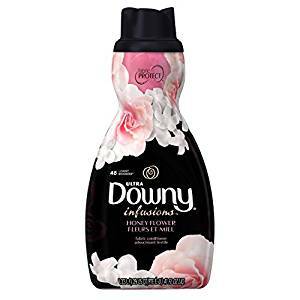 It is more concentrated than the ordinary non-concentrated Downy April Fresh, making your clothes 3x more fresh and soft. Give yourself and your family the new improved Downy April Fresh Fabric Conditioner for a fresher feeling all day! Don’t just wash your clothes with soap. Rinse them with Snuggle Plus Super Fresh Fabric Softener to eliminate tough odor and to make your clothes fresh, soft and smooth. This 95-ounce bottle can freshen up clothes up to a maximum of 90 loads. The content is not too viscous or too light in consistency, which makes this fabric softener just the right agent to give your clothes the fresh scent and softness they deserve. 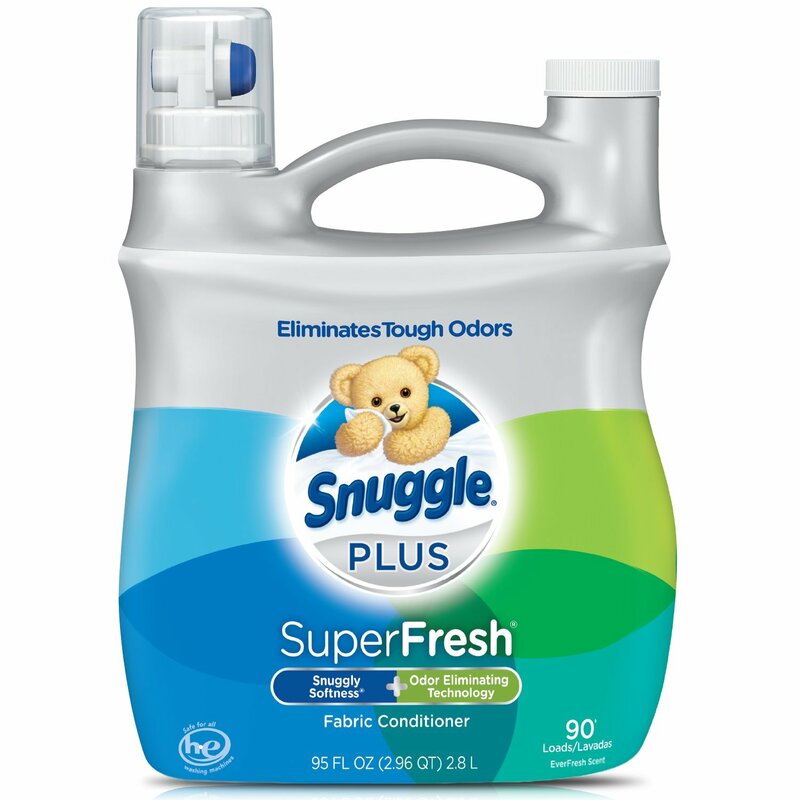 Snuggle Plus Super Fresh Fabric Softener gives you the freshness that you need. Because of its odor-eliminating technology, you are assured that your clothes won’t smell stinky after just one wash. Aside from that, a 95-ounce bottle can be used for a maximum of 90 loads of laundry. It has the consistency that doesn’t stain or damage fabrics. Having this in your laundry can make your clothes smelling fresh all the time! Whatever brand of fabric softener and conditioner you choose, always take into consideration the kinds of fabric you use it with to prevent mishaps and unwanted effects on your clothes. Choose wisely.